The Romans knew a thing or two about using oil to cleanse their skin. 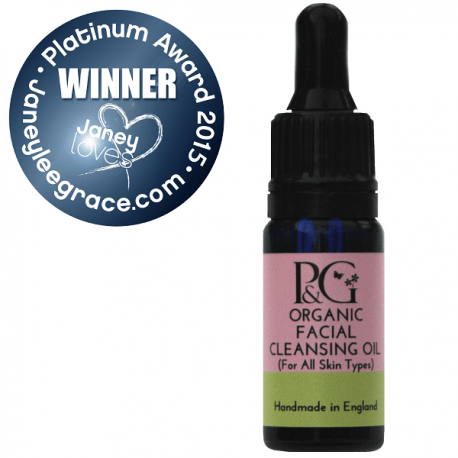 We’ve taken a leaf out of their book in the creation of our organic facial cleansing oil. Though the process for using it is a whole lot gentler than the Romans’ strigiling involving a special curved blade. All that’s needed to get the most from our gentle face cleansing oil is warm water and an organic muslin cloth or a clean flannel. 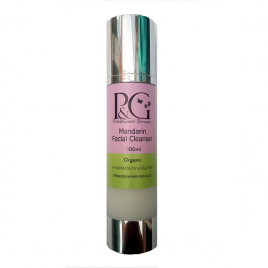 A suitable organic cleanser for sensitive skin, it’s simplicity itself to use. Follow the directions below or watch the video that follows. Dispense three drops of the cleansing oil into the palm of your hand using the dropper applicator. With a gentle touch, massage the oil into your face and neck with your fingertips. Take an organic muslin cloth (though a clean flannel will suffice) and soak in warm water. Press to your face and hold in place for twenty seconds. Regular use will reveal a clear and radiant complexion. Available in 10ml or 30ml sizes. Delicate Facial Cleansing Oil – Cleansing your face with our delicate, organic cleansing oil is an effective and gentle way to remove make-up and the day’s grime from your complexion. 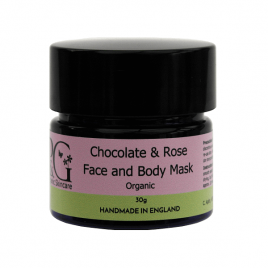 It’s suitable for all skin types – even oily – and is suitable for vegans. Read our blog for more detailed information on the benefits of oil cleansing. The oil is available in 10ml or 30ml bottles with dropper applicators. Apricot kernel* to nourish and moisturise. Sweet orange* to promote collagen formation. This in turn helps to make your skin firmer. Sweet orange is a tonic for all skin types. Lavender* to promote new cell growth. Lavender is suitable for any skin type and is soothing on allergies and inflammations. This product does not include a Muslin cloth. Follow this link for the Facial Cleaning Oil & Muslin Cloth Combined product. This is an amazing product. My face feels clean fresh and alive after using this. Skin looks healthy. I suffer from spots still and this have really helped to clear them. Will never use anything else now. Always used No 7..no.more. One of the best cleansers I’ve used! I have quite oily skin, but it took away the excess oils and made my skin feel soft and refreshed. It also smells amazing! This is a lovely-smelling, effective but gentle cleanser. It really does make my skin feel clean without removing its natural moisture. Wonderful!